To celebrate 10 years of crowdsourcing and collaboration between LEGO® Ideas (called LEGO CUUSOO until 2014) and LEGO fans around the world, we’re proud to display a selection of the incredible fan-designed models, which have been a part of this creative journey through the years. The display, featuring 18 awesome 10K Club models, will run from the 17th September to the 8th October 2018 and will be open to everyone in the free-to-access LEGO Square of the LEGO House in Billund, Denmark. Each of these fan-created models have achieved the impressive milestone of gathering 10,000 votes and have as a result been considered as a potential official LEGO Ideas set in the past. However, getting to this stage is no easy task. In fact, fans often spend months building their models and even more time telling the world around them about their unique designs to get others to cast their vote for them. Every day we see an abundance of creativity, hard work and passion that gets poured into these ideas and it gives us great pride to be able to celebrate our dedicated and talented fans by showcasing a small selection of their work. 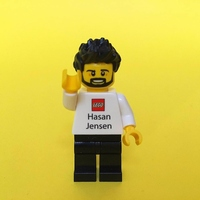 We are privileged to be able to highlight fan designers who reflect the diversity of the LEGO community; with men and women across all ages, nationalities, backgrounds, and interests. The models on display, representing 11 countries, also show that if you can dream it, you can build it. From cars to buildings and even artistic sculptures, we can share creativity together! Over the next few weeks we'll reveal more about which 10K models will be on display! So stay tuned! So if you're planning to visit the LEGO House, why not make it a trip to also see these beautiful LEGO builds!